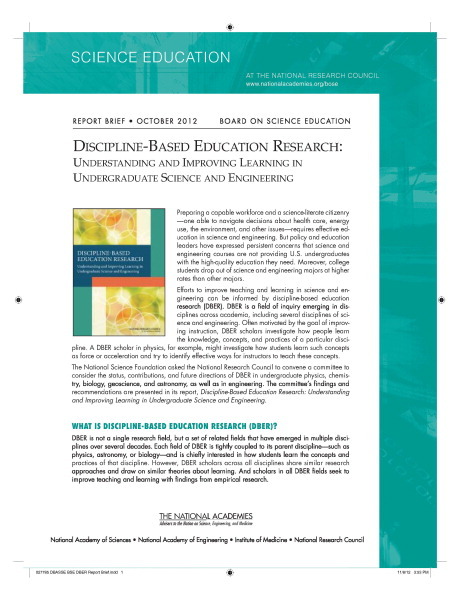 This report examines the emerging field and future direction of discipline-based education research (DBER) in physics, biological sciences, geosciences, and chemistry and how it could improve the teaching of these disciplines. DBER combines knowledge of teaching and learning with deep knowledge of discipline-specific science content. It describes the discipline-specific difficulties learners face and the specialized intellectual and instructional resources that can facilitate student understanding. The report is based on a 30-month study built on two workshops held in 2008 to explore evidence on promising practices in undergraduate science, technology, engineering, and mathematics (STEM) education. This book asks questions that are essential to advancing DBER and broadening its impact on undergraduate science teaching and learning. The book provides empirical research on undergraduate teaching and learning in the sciences, explores the extent to which this research currently influences undergraduate instruction, and identifies the intellectual and material resources required to further develop DBER. Based on Discipline-Based Education Research, this book is intended for those who teach or plan to teach undergraduate courses in science and engineering at any type of higher education instution. 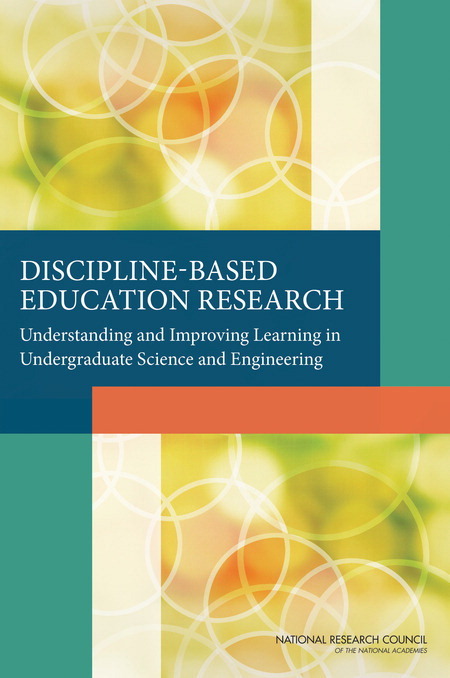 The study that produced Discipline-Based Education Research was built on two workshops held in 2008 to explore promising practices in undergraduate STEM education.